A few hours ago, the organizer (IME Productions) make announcement about the ticket launch venue, ticket price and seating plan of "Thinking of You Fan Meeting Show in Malaysia". G-Dragon, TaeYang and Seungri from Big Bang will held the Thinking Of You Fan Meeting Show in Malaysia, 2014, on 16 March 2014 (Sunday) (6 pm) at Sunway Surf Beach, Kuala Lumpur. 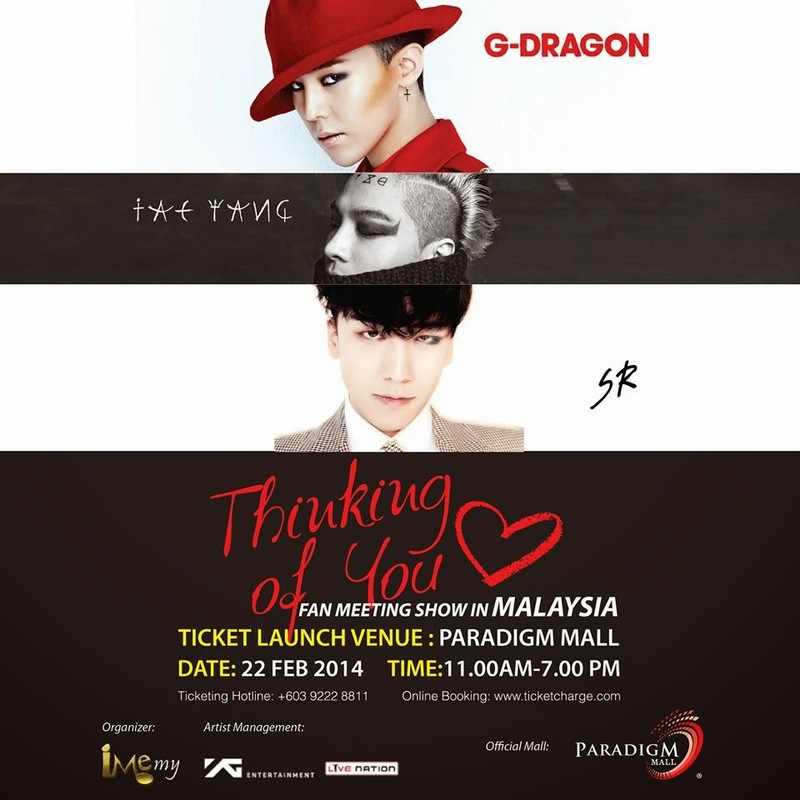 The ticket will launching on 22 February 2014 (Saturday), start on 11:00 am until 7:00 pm at Boulevard, Level G,Paradigm Mall.